Former pay-per-view news channel, LCI announced that it was now available for free. The purpose of the channel is still to analyze facts from the world, but to stay people centric and focus on individual issues. 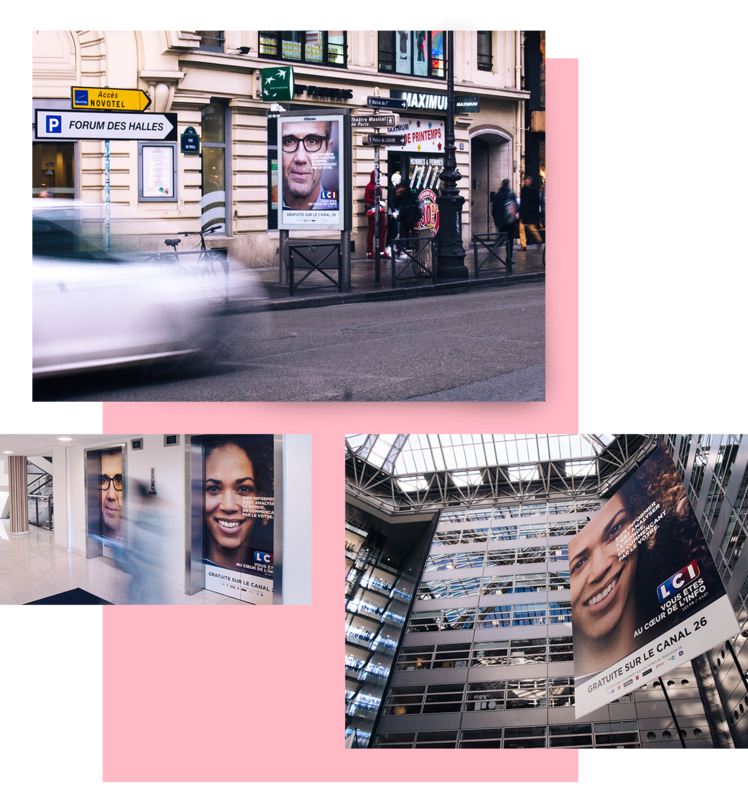 The campaign presents faces that represent the audience of the channel in all its diversity, faces that express all the emotions that can generate information, from smile to gravity. Display : 5,000 faces, all France, in municipalities with over 100,000 inhabitants.